Theresa May will receive support from the DUP in the scenario of the PM facing a no confidence vote but will not have the backing of the Northern Irish party in enacting her Brexit deal. A cross-party group of MPs including Tory Nick Boles and Labour's Stephen Kinnock have pushed the idea as a way of delivering Brexit - the United Kingdom will leave the European Union - while maintaining the closest possible relationship with Brussels. "We have got a good shot of winning". Reports suggested Mrs May could make an emergency trip to Brussels ahead of a planned summit on Thursday in an effort to secure further concessions in an effort to win over critics of her plan. Mrs May announced a Brexit deal with the European Union last month. A Tuesday vote by Parliament on UK Prime Minister Theresa May's Brexit deal will not be delayed, according to Sunday statements from ministers and other government sources. 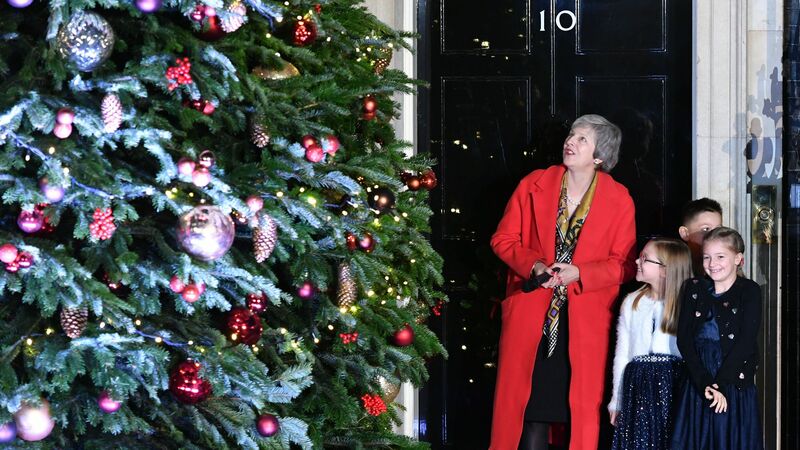 The Prime Minister warned Tory MPs they risk handing Jeremy Corbyn the keys to Number 10 unless they back her Brexit deal. "It would mean grave uncertainty for the nation with a very real risk of no Brexit", she told the Mail on Sunday. Setting out his alternative vision, he said the United Kingdom should not pay the promised £39 billion divorce bill to Brussels until the United Kingdom is allowed out of the backstop and a future trade deal is agreed. Meanwhile, security forces and government departments are bracing to deal with any situation following Tuesday's vote, which is widely expected to be rejected in the House. If the deal is rejected, what happens next remains unclear. This comes after Mrs May made a last-ditch appeal to rally support behind her Brexit deal. Brexiteers and Northern Ireland's Democratic Unionist Party, which props up May's government, worry that the proposed deal could leave Britain under European Union regulations indefinitely, or Northern Ireland could be treated differently to the rest of the UK. "We have a leader of the Opposition who thinks of nothing but attempting to bring about a general election, no matter what the cost to the country". The 69-year-old added that another referendum was not an "automatic right" and would have to be agreed by Parliament, and that the original referendum could not be "re-run" as this would be "met with a lot of dismay from a lot of people" who would feel that their original decision was not being accepted. Asked about her leadership ambitions, Ms McVey told Sky News' Sophy Ridge on Sunday: "I've seen the array of people who have come forward at the moment and I think if we can all get behind one - for me the most important thing is not the personalities, it is the deal for our country needs to be better".